Measurements: 30mm long X 10mm wide. 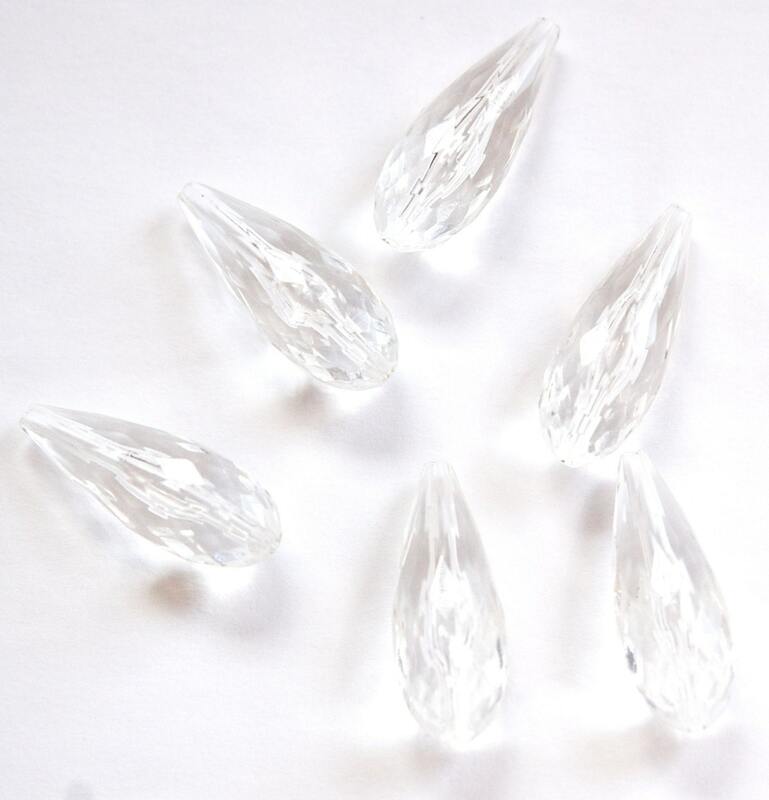 Characteristics: The faceting on these has a neat ripple effect as you move them around. Country of Origin: Hong Kong. Additional Information: The beading hole goes top to bottom through the bead. The item came promptly and was as advertised.